Its hotels and restaurants, safety and different leisure alternatives have positioned Chile as a must for business tourism in Latin America. Chile’s membership of trading blocs such as the Pacific Alliance, Asia-Pacific Economic Cooperation (APEC) and the Organisation for Economic Co-operation and Development (OECD) explain the rhythm of business between the country and its partners in different continents. This is reflected in the increase in the number of international conventions being held in Santiago and around Chile. According to the Andean country’s Undersecretariat for Tourism, it received more than 420,000 business visitors in the first nine months of last year, accounting for 8.98% of total tourist arrivals during that period. 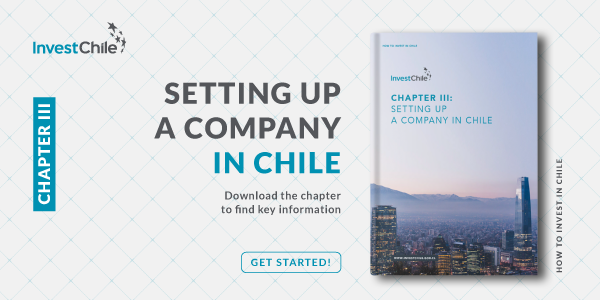 In addition, Chile took 35th place in the ranking of the International Congress and Convention Association (ICCA), with a total of 119 events, up by 14% on 2016. They were held principally in Santiago, followed by Viña del Mar, Valparaíso, Puerto Varas, La Serena and Concepción. In 2018, a further 35 meetings have already been confirmed. These positive figures have prompted interest on the part of the authorities in boosting the business segment. “To achieve this, we will employ different strategies, with special emphasis on the use of technologies, the strengthening of human capital and the promotion of the attributes that make Chile a destination that is favorable for the development of business tourism,” said Undersecretary of Tourism Mónica Zalaquett in an interview with the El Mercurio newspaper. 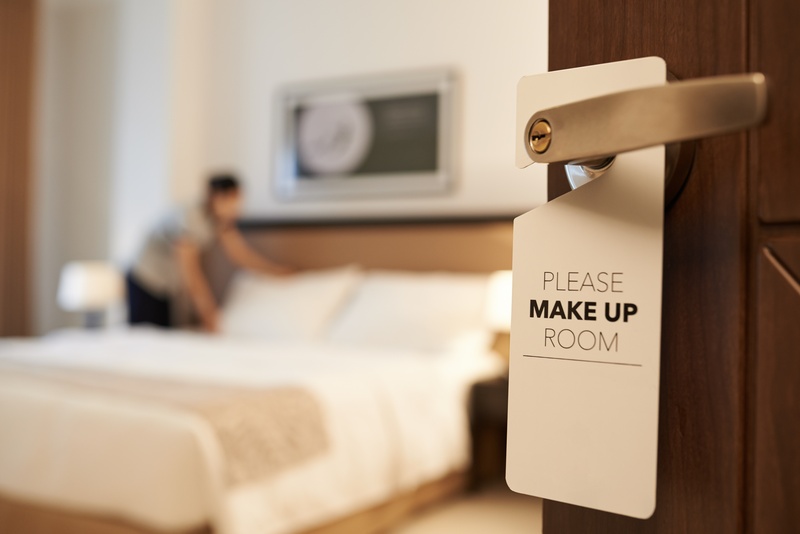 According to information from the Undersecretariat, international figures show that the average daily expenditure of meetings and events visitors is just over twice that of traditional tourists. Of course, in the case of congresses in Latin America, it is, at US$380, a little below the international average of US$674. Undersecretary Zalaquett added that meetings and events is one of the tourism industry’s fastest growing segments and this is related to Chile’s attributes. “It is a safe destination, with first-class infrastructure, that enjoys political and economic stability and, together with our numerous attractions for this type of tourism in Latin America, general tourist attractions, service and experience, this makes Chile an extremely interesting destination for events of this type,” she said. Santiago’s offer of hotels and restaurants, its safety and its range of leisure activities have positioned the city as Latin America’s leading destination for business tourism. It attracts more than 1.5 million business visitors each year, who account for 14% of all overseas visitors to the city. The main reason for the success of Santiago, the city that was chosen as the best Latin American business destination in 2017 by the specialized Business Destination magazine, lies in the Chilean capital’s combination of leisure and safety, an attribute that is scarce in other South American cities. 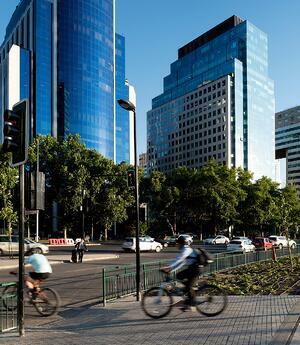 Santiago’s business center is located in the area known as ‘Sanhattan’ where the Las Condes, Vitacura and Providencia municipal districts meet. It forms an important pole of restaurants, hotels and high-profile offices. In order to encourage visitors to stay longer, initiatives and public policies in Santiago have sought to increase the leisure alternatives available. Key among these are the country’s wine industry, which each year increases its fame and influence around the world, and winter sports, taking advantage of the fact that the Andes Mountains are only 45 minutes from the city center. All these factors have helped Santiago to dethrone old icons of business tourism such as Sao Paulo, Buenos Aires and Lima. To learn more about tourism in Chile, read this article. Sources: El Mercurio, Emol and Undersecretariat for Tourism.